Are those vertical edges on the gun mantel really needed? what about the viewports? Right now they are merged with the cupola as 1 object but they are not actually connected to it. Is that a problem? That is the right way to do it, so the way it is right now is the way it should be done. For the viewports having them as separate elements like that is fine but for the hatches, grills and other stuff, they need to be welded up to avoid zfighting and save UV space etc. Yeah I can remove some of those that are not needed for the rounded areas. I guess I'll have to do it then but that's going to increase the tri-count. Maybe I should remove them all together for anything other than lod0? no... 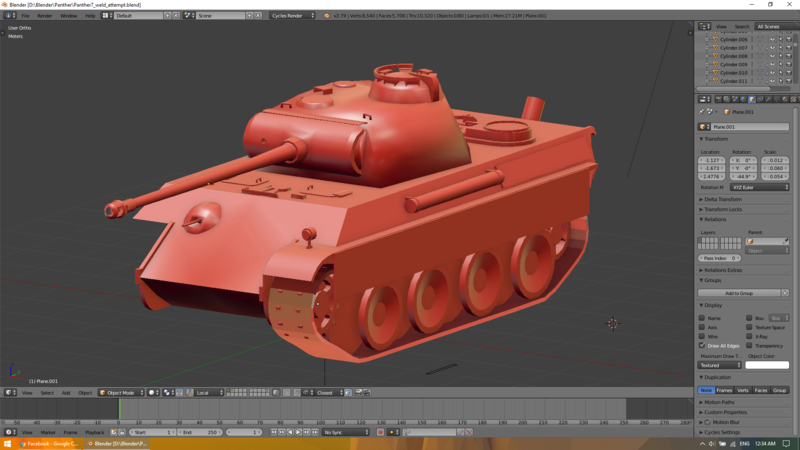 I suggest you look at other tanks/vehicles in PR to see how they are made and take notes from them, not all are good examples keep in mind but you can get a general idea of how you need to make yours. Finally found some time to play with the model again. I've welded the pieces of the smaller objects to their actual objects and I've made a test to see if I'm welding the small objects correctly, basically I've welded them to a rectangular plane which, if it is okay, I will weld to the hull object once I apply the mirror modifiers. Would appreciate feedback on the welding of the first 2 photos and if it's going to be the right way to do it when I weld that entire object to the hull? Last edited by PatrickLA_CA; 2019-03-15 at 00:09..
Nice job! I think you did more welding then we usually do IIRC we do have many models where things like handles and other small objects aren't welded, sometimes to save on large triangle counts it would add for every tiny object. It's a balance you have to strike between good welding and not overly high triangle counts. But I think without being a real 3D artist that you have done very well! 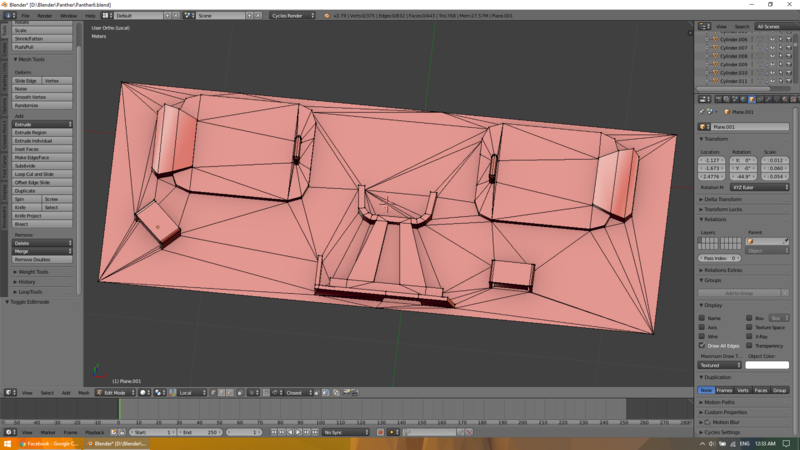 So I guess I'll do the same for the rear hull details. What about the turret cupola and the hull machine gun? I feel like that's going to add a lot of tris. 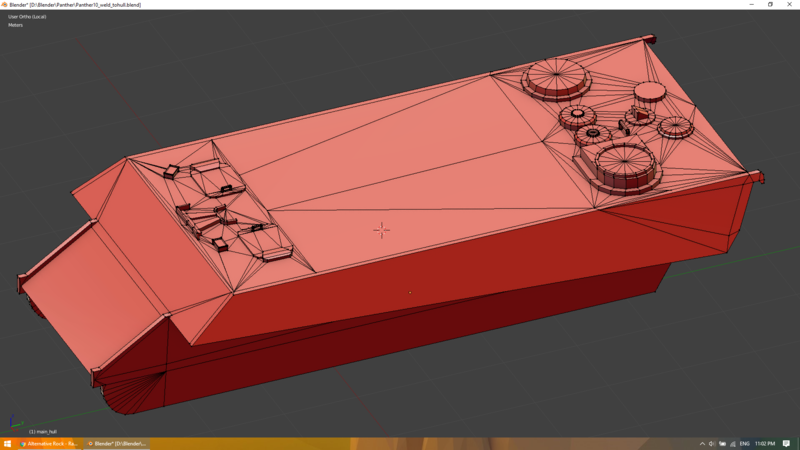 Maybe I should re-do the wheels in slightly lower poly to see if I can save some tris. 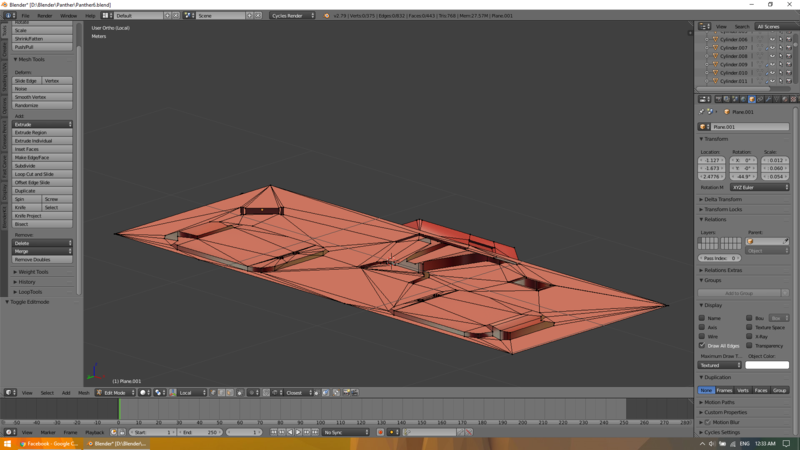 Right now I expect around 15k when both sides are complete, but there's a lot of stuff which can be lowered for LOD02. 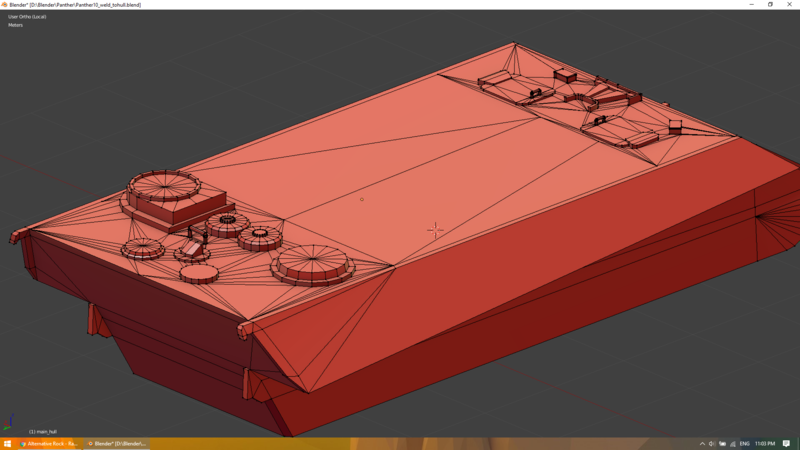 I've welded the hull details and ended up with 2,296 tris for the hull, I think it's a fair count for the amount of details. I guess the next thing to do would be the same for the turret details. 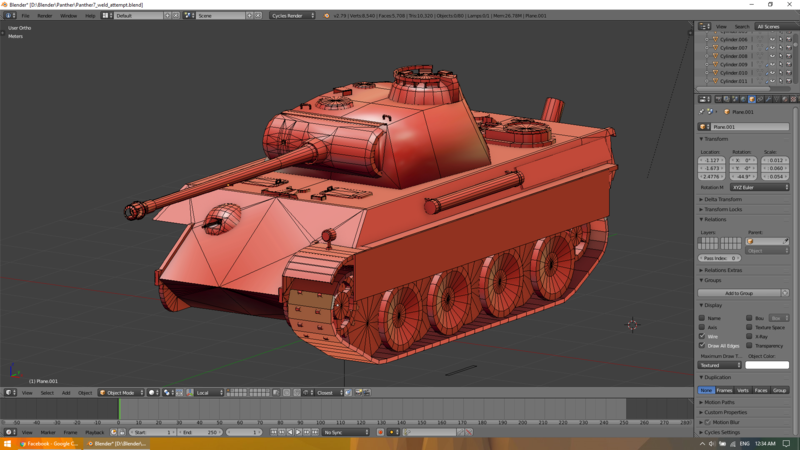 What should I do with the hull MG cupola? Weld it or keep it separate? Also, the same question for the commander's cupola?